ASAs now. Looks like I need to break section 5 down into several posts. Still very much note form. Time is not on my side, so excuse any lack of coherence. Advanced stateful firewall & VPN concentrator. Can have IPS module (depending on model). Can do contexts (like tenants), clustering, be in transparent mode (L2), or routed mode (L3). Has inspection engines, IPSec VPN, SSL VPN, clientless SSL VPN. Not supported in transparent mode. Supported in single context mode. Routed – default – has IP address, acts as default gateway – router hop. Can do NAT, Each interface on different subnet. Can share interfaces between contexts. Transparent mode – bump in the wire. connects same network on inside and outside interfaces. Supports ARP, IP, IPv6 (in 8.4 – not in 7.2). Management interface for management (obviously) – only allows management traffic – can have static route. Partitioning of ASA into multiple virtual devices. Each context is an individual device with own security policy, interfaces, and administrators. Can have admin context – allowing control over everything. If multiple contexts share an interface then the classifier uses the interface MAC address. Can have a different MAC address in each context on the same shared interface. Therefore traffic classified by this MAC address along with destination address. If using NAT then the traffic for shared interface is classified using the destination address of the packet, by using the NAT table and also by the destination MAC address. 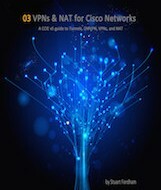 NAT 8.3 – uses network objects – IP address, range of, a network, or FQDN. NAT control no longer supported. If connection finds no translation rules then passes through ASA without translation. No more Outside NAT versus Inside NAT. NAT rule priority no longer applies. Can now use FQDN in ACLs – requires DNS server to be configured and a FQDN object to be created. Packet comes to ingress interface – counter gets incremented. ASA checks internal connection table to verify if current. 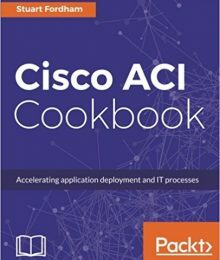 If matches current then ACL check is bypassed and packet is forwarded. Packet processed as per interface ACLs – in sequence – if matches then passes. 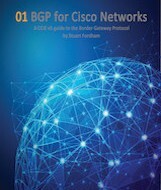 packet forwarded to egress interface – route lookup performed. Packet transmitted on the wire, egress interface counter increased. 1. Traffic enters the ASA. 2. Incoming VPN traffic is decrypted. 3. Firewall policies are applied. 4. Traffic is sent to the IPS module over the backplane. 5. The IPS module applies its security policy to the traffic, and takes appropriate actions. 6. Valid traffic is sent back to the adaptive security appliance over the backplane; the IPS module might block some traffic according to its security policy, and that traffic is not passed on. 7. Outgoing VPN traffic is encrypted. 8. Traffic exits the adaptive security appliance. DNS inspection – matches ID of reply to ID of query. Enforces maximum DNS message length (default is 512 bytes, maximum is 65535 bytes) – drops if exceed maximum. Enforces domain-name length of 255 bytes, label of 63 bytes. Uses DNS rewrite. FTP inspection – PORT/PASV. If disable (no inspect ftp) outbound users can start only in passive mode – all inbound FTP disabled. PPTP inspection – creates GRE connections and xlates – only version 1. AUTH, EHLO, ETRN, HELP, SAML, SEND, SOML, STARTTLS, VRFY, DATA, HELO, MAIL, QUIT, RCPT, RSET. Uses Microsoft AD. IDFW – requires 8.4.2. Interfaces are monitored. Can monitor up to 250 interfaces divided between all contexts. Should monitor important interfaces. 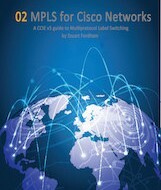 Network activity test – unit counts received packets for up to 5 seconds. If no traffic received it does an ARP test. Broadcast Ping test – broadcast ping – counts all received packets for up to 5 seconds.